5-ounce, 100% ringspun cotton jersey knit; Heather Grey 90% cotton /10% polyester. Left-chest pocket with sewn-on Carhartt label. Side-seamed construction minimizes twisting. Tagless neck label. 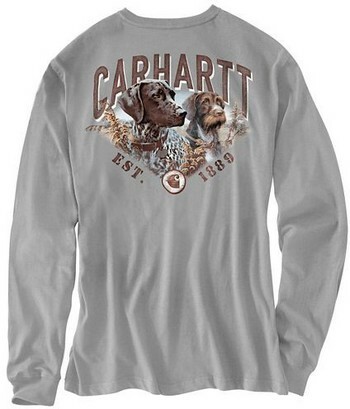 "Carhartt's Best Friend" graphic printed on back.